Sağlık davranışlarının kazanılmasında ve sürdürülmesinde çocukluk dönemi ve aile önemli rol oynar. Çocuk ve adölesanlarda riskli ya da olumsuz sağlık davranışlarının değiştirilmesinde ve tedaviye uyum sağlanmasında farklı girişimlere ihtiyaç duyulmaktadır. Davranış değişikliğinde etkin bir yaklaşım olarak görülen motivasyonel görüşme sağlığın korunması, hastalıkların tedavisi ve rehabilitasyonunda önemli yararlar sağlar. Motivasyonel görüşme değişim için içsel motivasyon sağlayan, bireyin kendi davranış değişim nedenlerini ortaya çıkaran işbirliğine dayalı bir yaklaşımdır. Çocuk ve aileye yönelik uygulamalarda motivasyonel görüşmenin kullanımı tedaviye uyumu kolaylaştırır. Çocuk sağlığı alanında çalışan sağlık profesyonellerinin motivasyonel görüşme konusundaki bilgi ve becerilerini arttırarak çocuk ve ailenin bakımında etkin şekilde kullanmaları önerilmektedir. Childhood period and family play an important role in the develop and maintenance of health behaviors. Different interventions are needed to change risky or negative health behaviors and adherence to treatment in children and adolescents. Motivational interviewing, seen as an effective approach to maintaining behavioral change, provides important benefits in the health protection, in the treatment and rehabilitation of diseases. Motivational interviewing is a collaborative approach that provides intrinsic motivation for change and revealing the individual's reasons for behavior change. The use of motivational interviewing in child and family practices facilitates adherence to the treatment. Health professionals who working with children are advised to increase the knowledge and skills of motivational interviewing and use them effectively in child and family care. 1. Britt E, Hudson SM, Blampied NM. Motivational interviewing in health settings: a review. Patient Educ Couns. 2004 53(2):147-55. 2. Gance-Cleveland B. Motivational interviewing: Improving patient education. Journal of Pediatric Health Care 2007; 21: 81-88. 3. Rubak S, Sandbaek A, Lauritzen T, et al. Motivational interviewing: A systematic review and meta-analysis. British Journal of General Practice 2005; 55: 305-312. 4. Ögel K. Motivasyonel görüşme tekniği. Türkiye Klinikleri Psychiatry-Special Topics 2009; 2(2):41- 4. 5. Işıl Ö. Motivasyon ve Davranış Değişikliğinde Ailenin Rolü. Kuğuoğlu S, Demirbağ BC (ed) Aile Temelli Sağlık Yaklaşımı. Akademisyen Tıp Kitabevi, Ankara, 2015: ss 121-133. 6. Miller WR, Rollnick S. Motivational interviewing: Preparing people for change. second edition. New York, Guilford Press, 2002: ss 123-129. 7. Miller WR, Rollnick S. Motivasyonel Görüşme Bağlam, Pratik, Uygulamalar. Karadağ F, Ögel K, Tezcan AE. (Çev), Motivasyonel Görüşme. Hekimler Yayın Birliği, Ankara, 2009: ss 40-104. 8. Erickson SJ, Gerstle M, Feldstein SW. Brief interventions and motivational interviewing with children, adolescents, and their parents in pediatric healthcare settings. Arch Pediatr Adolesc Med 2005; 159: 1173-1180. 10. Sindelar HA, Abrantes AM, Hart C, et al. Motivational interviewing in pediatric practice. Curr Probl Pediatr Adolesc Health Care 2004; 34: 322-339. 11. Lambe B, Collins C. A qualitative study of lifestyle counselling in general practice in Ireland. Fam. Pract. 2010; 27:219-223. 12. Lundahl B, Kunz C, Brownell C, et al. A meta-analysis of motivational interviewing: Twenty-five years of empirical studies. Res Soc Work Pract 2010;20: 137-160. 13. Stephens R, Roffman R, Curtin L. Comparison of extended versus brief treatments for marijuana use. Journal of Consulting and Clinical Psychology 2000; 68: 898-908. 14. Smith D, Heckemeyer C, Kratt P, et al. Motivational interviewing to improve adherence to a behavioral weight-control program for older obese women with NIDDM: A pilot study. Diabetes Care 1997; 20: 53-54. 15. Chen SM, Creedy D, Lin HS, et al. Effects of motivational interviewing intervention on self-management, psychological and glycemic outcomes in type 2 diabetes: A randomized controlled trial. International Journal of Nursing Studies 2012; 49: 637-644. 16. Lask B. Motivating children and adolescents to improve adherence. J Pediatr 2003; 143: 430-433. 17. Conk Z, Başbakkal Z, Yılmaz Bal H, Bolışık B (Ed), Pediatri Hemşireliği. 1. Baskı, Güneş Tıp Kitabevleri, İstanbul, 2013: 543-58. 18. Borrelli B, Tooley EM, Scott-Sheldon LA. Motivational Interviewing for Parent-child Health Interventions: A Systematic Review and Meta-Analysis. Pediatr Dent. 2015;37(3):254-65. 19. Davoli AM, Broccoli S, Bonvicini L, et al. Pediatrician-led motivational interviewing to treat overweight children: an RCT. Pediatrics 2013;132:1236-1246. 20. Haines J, McDonald J, O’Brien A, et al. Healthy Habits, Happy Homes: randomized trial to improve household routines for obesity prevention among preschool-aged children. JAMA Pediatr 2013;167:1072-9. 21. Harutyunyan A, Movsisyan N, Petrosyan V, Petrosyan D, Stillman F. Reducing children’s exposure to secondhand smoke at home: a randomized trial. Pediatrics 2013;132:1071-80. 22. Barkin SL, Gesell SB, Poe EK, Ip EH. Changing overweight Latino preadolescent body mass index: the effect of the parent-child dyad. Clin Pediatr (Phila) 2011;50:29-36. 23. Malas N, Rofey D, Kuchera AM, Pletcher J, Ortiz-Aguayo R, Douaihy A, Gold M. Motivational interviewing in paediatric residency. Clin Teach. 2017;14(1):20-26. 24. Gayes LA, Steele RG. A meta-analysis of motivational interviewing interventions for pediatric health behavior change. J Consult Clin Psychol 2014;82:521-35. 25. Naar-King S. Motivational interviewing in adolescent treatment. Can J Psychiatry 2011; 56: 651-657. 26. Jackman K. Motivational interviewing with adolescents: an advanced practice nursing intervention for psychiatric settings. Journal of Child and Adolescent Psychiatric Nursing 2012; 25: 4-8. 27. D’amico E, Miles JNV, Stern SA, et al. Brief motivational interviewing for teens at risk of substance use consequences: A randomized pilot study in primary care clinic. J. Subst Abuse Treat 2008; 35: 53-61. 28. Spirito A, Monti PM, Barnett NP, et al. A randomized clinical trial of a brief motivational intervention for alcohol-positive adolescents treated in an emergency department. J Pediatr 2004; 145: 396-402. 29. Colby SM, Monti PM, O’Leary TT, et al. Brief motivational intervention for adolescent smokers in medical settings. Addict Behav 2005; 30: 865-874. 30. Knight KM, Bundy C, Morris R, et al. The effects of group motivational interviewing and externalizing conversations for adolescents with Type-1 diabetes. Psychology, Health & Medicine 2003; 8: 150-157. 31. Walpole B. Dettmer E, Morrongiello B, et al. Motivational interviewing as an intervention to increase adolescent self-efficacy and promote weightloss: Methodology and design. BMC Public Health 2011; 11: 459-467. 32. Berg-Smith SM, Stevens VJ, Brown KM, et al. A brief motivational intervention to improve dietary adherence in adolescents. Health Educ Res Theory Pract 1999; 14: 399-410. 33. Willgerodt MA, Kieckhefer GM, Ward TM, et al. Feasibility of using actigraphy and motivational-based interviewing to improve sleep among school-age children and their parents. J Sch Nurs 2014; 30: 136-148. 34. Channon SJ, Huws-Thomas MV, Rollnick S, et al. A multi center randomized controlled trial of motivational interviewing in teenagers with diabetes. Diabetes Care 2007; 30: 1390-1395. 35. Riekert KA, Borrelli B, Bilderback A, Rand CS. The development of a motivational interviewing intervention to promote medication adherence among inner-city, African-American adolescents with asthma. Patient Education and Counseling 2011; 82: 117-122. 36. 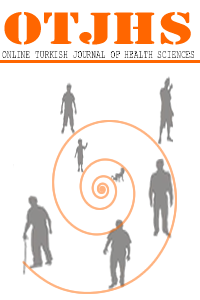 Erol S, Erdogan S. Application of a stage based motivational interviewing approach to adolescent smoking cessation: The Transtheoretical Model-based study. Patient Education and Counseling 2008; 72: 42-48. 37. Chahal N, Rush J, Manlhiot C, Boydell KM, Jelen A, McCrindle BW. Dyslipidemia management in overweight or obese adolescents: A mixed-methods clinical trial of motivational interviewing. SAGE Open Medicine 2017;5: 1-15.